Forge World has started taking orders for their new Solar Auxilia Dracosan Armored Transport over on their website. 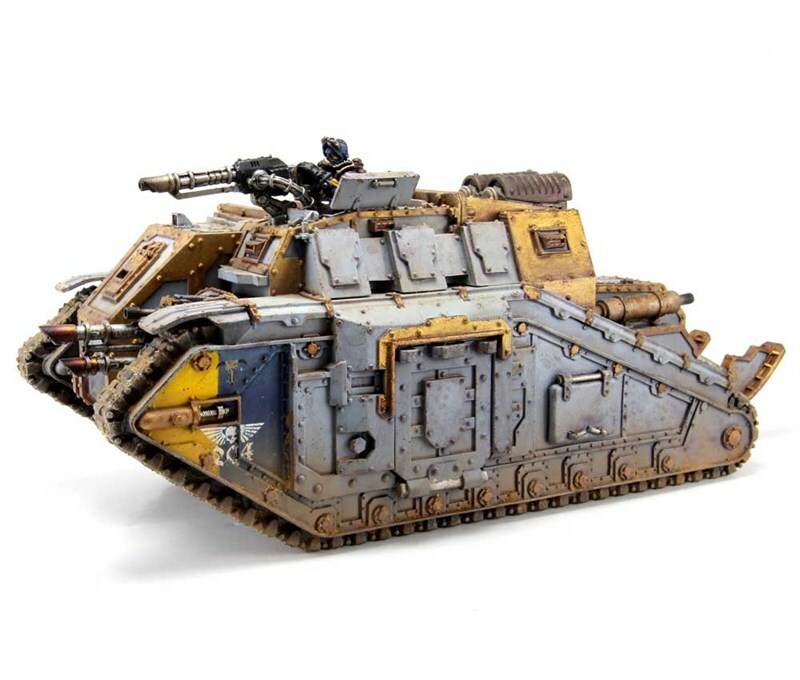 The Dracosan Armoured Transport is manufactured to standards only usually required of war machines destined for service with the Legiones Astartes. It is large enough to accommodate a full strength Solar Auxilia Infantry Section of twenty auxiliaries, and heavily armoured enough to protect them from intense enemy fire. Equipped with a fearsome array of weapons of its own, including either a powerful twin-linked lascannon or a mighty demolisher cannon at the expense of some of its transport capacity, the Dracosan can steadfastly defend itself against enemy counter-attack and pound an adversary’s emplacements to dust before those on board disembark to storm what remains of their objective. The Solar Auxilia Dracosan Armoured Transport is a complete multi-part resin kit, designed by Phil Stutcinskas. The kit includes weapons options for the vehicle and an optional gunner with a choice of either a multi-laser or heavy flamer. This model is available to pre-order now and will be despatched from Thursday 30th October.